Our 1 bedroom and 3 bedroom Frostfire units are part of a complex of 30 beautiful condos with 2 hot tubs directly at the base of Keystone Mountain. It is a 5 minute walk over the bridge to the Peru and Argentina lifts located at the base of the mountain house. 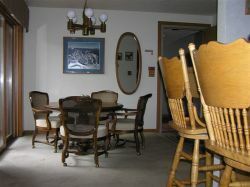 The building is situated to the north of the Snake River providing a great view of the river, the wetlands, and the ski terrain. Guests have spotted beaver, ducks, and a rare grey wolf. 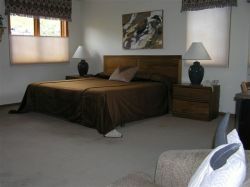 Both of the condos offer spectacular views of the ski trails, especially for the lighted night skiing. 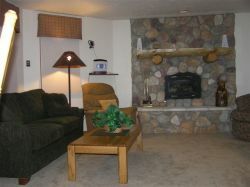 Frostfire is within walking distance of rental shops, restaurants, and many boutique shops. 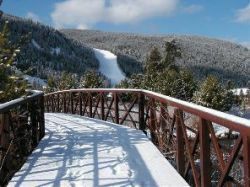 Keystone provides busing, however the complex's proximity to both skiing and nightlife activities make the transportation only necessary if our guests wish to visit a location outside the village. There are two outside hot tubs with spectacular mountain views located right outside the door of our units.